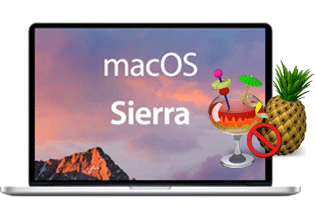 On 2017 WWDC, Apple announced macOS High Sierra, the latest version of its Mac software platform and renamed successor to macOS 10.12 Sierra. It will be available as a free software update for compatible MacBook, MacBook Air, MacBook Pro, iMac, Mac mini, and Mac Pro models. Thus Mac users rush to update to macOS High Sierra, and find some applications are not available to the new macOS, Handbrake for example. As one of the most popular free video converter and DVD ripper for Mac, Handbrake is widely used on macOS. But unfortunately, Handbrake for macOS High Sierra is not available, only Mac OS X 10.6 to 10.12 are supported at present. So what should you do? Actually, superb Handbrake alternatives Mac can survive you from the situation that Handbrake not working on macOS High Sierra/Mojave. Despite of the system limitation, Handbrake can process any DVD or Blu-Ray sources that do not contain any kind of copy protection and rip DVDs to MP4, M4V and MKV. But don't escape from problems. Handbrake won't rip DVD on macOS High Sierra even if you updated to the latest version HandBrake 1.0.7 or install Handbrake Libdvdcss. Plus, new reports indicate the latest Handbrake version crashes while encoding. So a Handbrake for macOS Mojave alternative - MacX DVD Ripper Pro is more practical. How to Use Handbrake Alternative to Rip DVDs on macOS Sierra/Mojave? Step 1: Free download this Handbrake for macOS Sierra alternative on DVD ripping (Windows version is available as well), and then fire it up. You can load DVD by clicking "DVD Path" button with DVD movie or DVD folder. Step 2: Choose the output format as MP4, FLV, MPEG, AVI, etc. for watching on some particular video players, such as VLC, QuickTime, 5KPlayer, etc. ; or for uploading to YouTube or other hot video sharing sites. Step 3: Select a destination folder on your Mac to save the ripped DVD by clicking "Browse". Step 4: Then click "RUN" button to start ripping new DVD movies with Handbrake for Mac alternative. You can see the ripping process right away and free to pause or stop it. Handbrake error on macOS Sierra is not only occurs on ripping DVDs, but also converting videos. And according to the situation of Handbrake for El Capitan, even if Handbrake can run on macOS Sierra, you may highly possible encounter Handbrake No Valid Source Found error, audio/video out of sync problem on converting videos. So in light of the possible problems, a Handbrake for macOS Sierra alternative on video conversion - MacX Video Converter Pro jump into our sight. MacX Video Converter Pro may not be as famous as Handbrake, but it solves all kinds of problems Handbrake does and doesn't do on converting videos. It convert SD HD videos from formats to formats fast and losslessly without any error for playback on iPhone iPad Android devices. And lucky not only Mac users can take advantage of this Handbrake alternative, Windows users can also head over to MacX HD Video Converter Pro for Windows for video conversion. How to Use Handbrake Alternative to Convert Videos on macOS Sierra/Mojave? Step 1: Download the Handbrake video converter alternative for Mac (macOS Mojave incl.) or Windows version for PCs, and launch it. Click "Add File" button to load the target video files. Step 2: Select output format from the format list. Certainly, MP4 is highly recommended for its better compatibility with media players, video sharing sites and portable devices. Step 3: Click the "Browse" button to select a folder where you want to place your converted video files. Step 4: Press the "RUN" button to start video conversion using Handbrake video converter alternative for Mac. 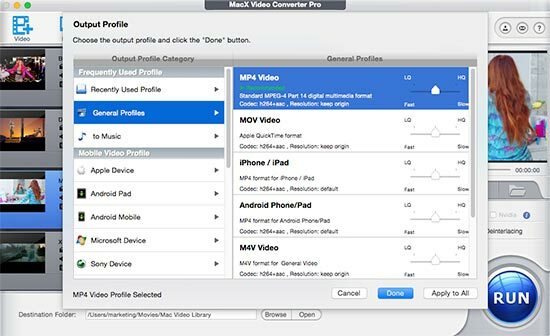 To play the converted video on iPhone iPad iPod, you can take advantage of MacX MediaTrans to transfer video from computer to iDevices for playback on the move. Besides, this iPhone file manager also provides you the easiest solution to transfer music from iPhone to Mac, copy photos from iPhone to Mac, download eBooks from iPad to computer, etc. Well, as a free video converter and DVD ripper, Handbrake is unique both on converting videos and rip DVDs free. But in the absence of Handbrake for macOS Sierra, there is no more Handbrake alternatives for Mac better than MacX DVD Ripper Pro and MacX Video Converter Pro. And you are lucky enough to get the discount MacX DVD Video Converter Pro Pack now! • Convert variety of HD/SD videos to iTunes, MOV, MP4, H.264, YouTube and MP3 etc. • Support the popular HD video formats, such as MKV, Blu-ray M2TS, TS, AVCHD videos. • FREE lifetime update to latest version & technical support via e-mail. Dying to convert VOB to MP4 with Handbrake? This article will guide you to use Handbrake to convert VOB files to MP4 on Mac (macOS Mojave) and Windows (10) for playback on all your Apple Android devices. 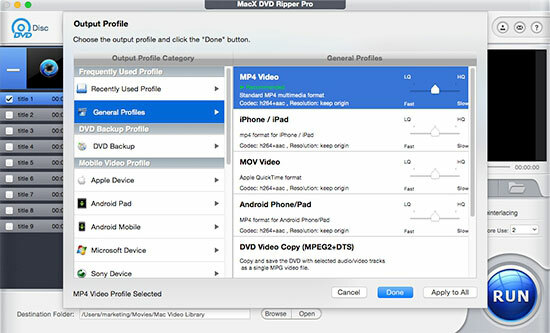 MacX DVD Video Converter Pro Pack is the best Handbrake alternative for macOS Sierra for converting videos and ripping DVDs including new copy-protected DVDs to various video formats (MP4, MOV, MKV, AVI, etc) and portable devices with original quality.